Bounce House and Party Rentals for Kid’s Events. Serving Westchester County, New York and Surrounding Areas. Thanks for visiting the website of Fiesta Bounce Party Entertainment. Spring 2019 is here! We are your #1 source for party rentals, concession machines, and of course our specialty, bouncy house castles! We are located in White Plains New York and mostly deliver our affordable bounce house rentals in Westchester NY. However, we may be able to bring our party rental attractions to your area! Bouncy castles are great for backyard parties, indoor birthday parties as well as larger events. Party inflatables have been gaining popularity for backyard party entertainment in recent years. Many parents found that renting bouncing castles and inflatable slides are easy way to keep children happy and active during their party. Feel free to take a look around at our Kid’s Party Rentals. We service all of Westchester, NY including New Rochelle, White Plains, Yonkers, Elmsford, Tarrytown, Peekskill and all surrounding areas. Don’t forget to check out our Blog to see some of our most recent bouncy house party pictures. 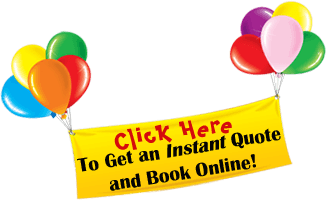 Our Online Quote and Booking System is 100% SSL Certified and secure! We accept Paypal, cash, debit/credit cards and money orders for deposits and at the time of delivery and set up before your event. We look forward to serving you for all of your inflatable bouncy house and party rental needs.